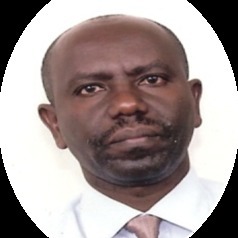 Dr Evariste Karangwa obtained M.ED & Ph.D from the University of Birmingham in UK (1999-2000) & Catholic University of Louvain in Belgium (2003-2006); respectively. Prior to serving as Dean from 2014, he had been entrusted academic leadership responsibilities in UR CE since 2000: As Head of Department (2000-2003); Deputy Dean (2006-2010) and Director of Postgraduate studies & Research (2010-2011). Appointed by the Ministry of Education (March 2013) to lead the review of the National Policy on Inclusive Education in 2013; by UR senate (February 2014) to design its policy and practices on inclusive teaching and learning; and a member of Inter University Council of East African (IUCEA) team that developed the regional policy guidelines for students with special needs, and others. Is the Chief Editor of the Rwandan Journal of Education; published in the ‘International Journal of Inclusive Education’ in 2007; in the International Journal of Disability & Development in 2010, has contributed to the Handbook of International Special Education published by Praeger in June 2017 and edited by Prof. Michael Wehmeyer & Dr Jim Dr Patton of Kanasa University.